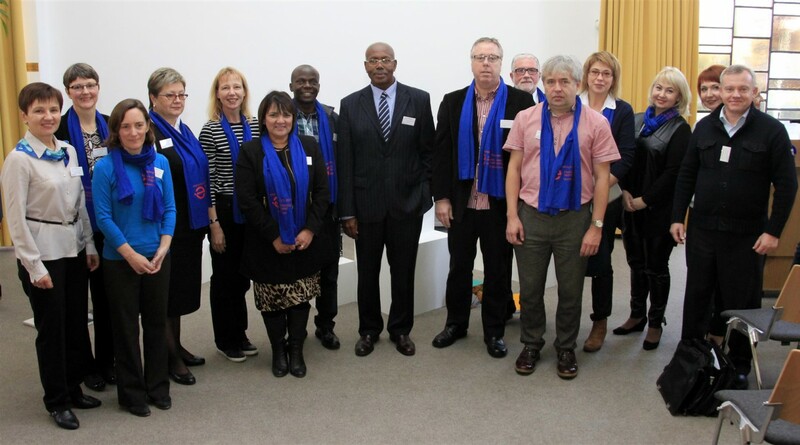 From 2 - 5 November 2015 the International Forum “The Good Life – Challenge and Opportunity for Social Work Professions” took place at our Protestant University of Applied Sciences. Overall 250 students and lecturers participated in the forum of which 69 came from our international partner universities and institutions in England, Iraq, Russia, Switzerland, South Africa, Tanzania, Turkey, Uganda and the USA. In twelve sections they were discussing “The Good Life” under the perspective of inclusion, gender, child protection, human rights, migration and many more. Everyday all participants also gathered together in a framework programme with lectures, morning impulses and cultural events in the evening. The conference was very intensive, exciting and colourful. Professional discourses, personal encounters and intercultural experiences were shaping this week. We are deeply grateful for all the participants from around the world who made this possible.